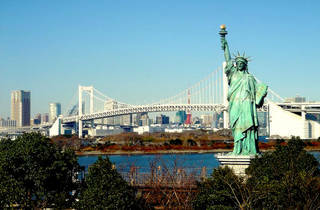 What’s perhaps most surprising about the replica of the Statue of Liberty in Odaiba is that it’s not Japan’s only one. At least two more exist (one in Shimoda, one in Osaka), though neither command views as impressive as those afforded Tokyo’s lucky Lady. 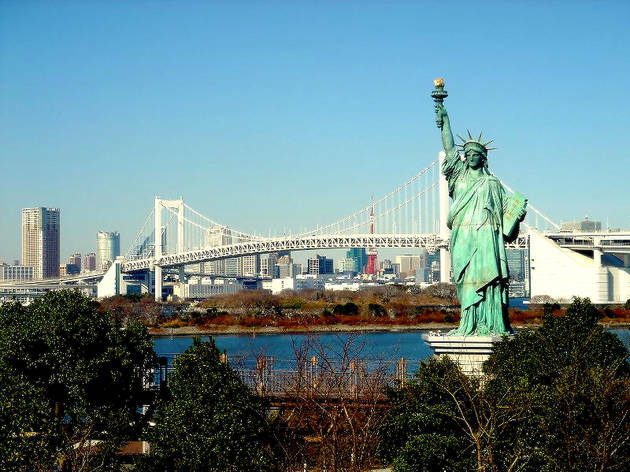 Overlooking Tokyo Bay and Rainbow Bridge, she has held her ground since 2000, back by popular demand having originally been a temporary fixture for ‘The French Year of Japan’, 1998-1999.